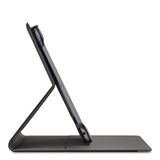 Cleverly constructed to eliminate unnecessary bulk from the case's overall profile, the Belkin Slim Style Cover for the iPad (5th Generation), iPad Air 2 and iPad Air is the perfect example of the old adage, "Less is More." 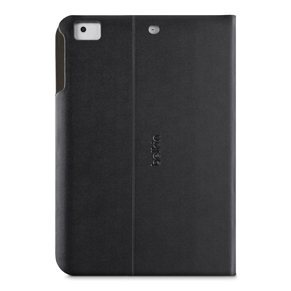 With the same durable materials and thoughtful design details found in all our iPad covers, the Slim Style iPad Air Case takes sleek protection to a whole new level. The overall construction and frame design of the Slim Style Cover iPad Air Case is incredibly minimalist, giving you maximum protection without adding bulk. 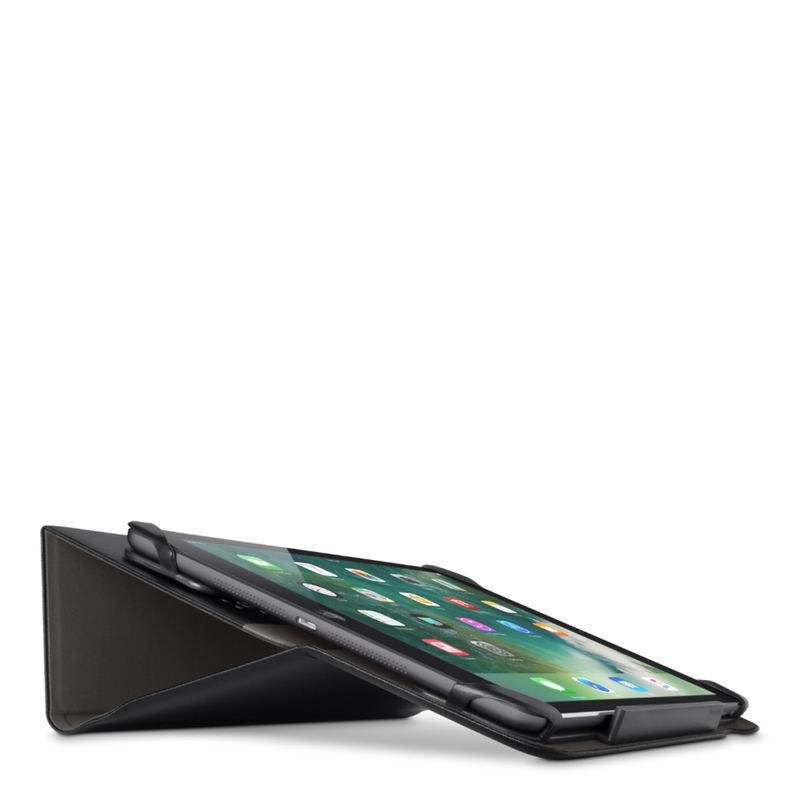 The frame is actually embedded into the cover making it virtually disappear once your iPad Air is in place. 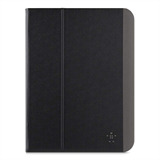 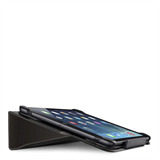 The iPad Air Belkin Slim Style Cover isn't just about good looks - it also provides reliable protection. 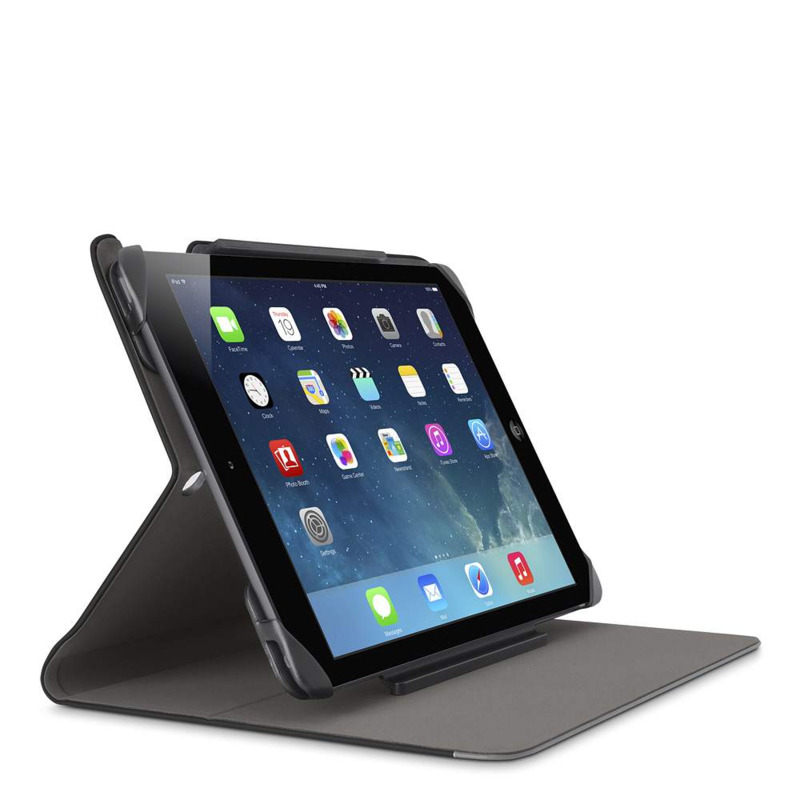 The frame is designed with protective corners made of a flexible silicone that gently lock your iPad Air into place. 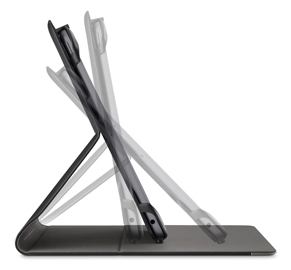 When you close the front cover, a soft inner lining keeps your screen safe from scratches. Rubberized feet on the frame and a grip suede inner lining prevent your device from slipping and allow you to position your iPad Air at the angle that suits you best. We've also improved the experience of using your touchscreen in the viewing position by integrating a hinge stop into the stand so your screen stays steady while you're typing, swiping or navigating. 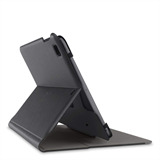 The Slim Style iPad Air Cover Case also folds into a lower, more ergonomic angle that puts less stress on your wrists when typing on your touchscreen. 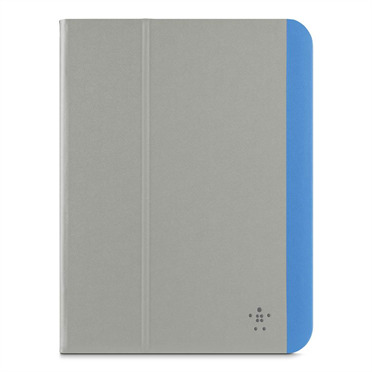 The Belkin Slim Style Cover Case for the iPad Air is durable and water-repellent, so accidental spills and dirt are easy to wipe clean. The overall construction and frame design is incredibly malist and expertly tailored, giving you maximum protection without adding bulk. The Slim Style Cover for the iPad Air features embedded magnets in the frame that keep the front cover closed when you're on the go. Our Belkin Slim Style Cover iPad Air Case is designed so that the camera, ports and speakers are fully exposed, so you can quickly and easily snap a photo, adjust your volume, plug in your headphones, and connect your charging cable while keeping your case on and your tablet fully protected.